Crown The Entertainer, Delhi has a team of professionally trained DJs with personality! All their DJs are also trained as professional Emcee/hosts, able to make announcements and help with timing. They specialise in creative entertainment and often provide services for wedding ceremonies, receptions, school dances, corporate events, birthdays and private celebrations. Hosting only to fun interactive DJs, dance lights, great music and Karaoke – they have something for everyone! Brides! Their DJ Package includes complete itinerary and music planning. Yes! Their DJs will make the announcements and make sure your reception goes smoothly! Call Crown The Entertainer, Delhi today to schedule a meeting to discuss your special event today! Wz-468/E M.S Block, Hari Nagar, New Delhi. Crown The Entertainer is a dj based out of Kirti Nagar, Delhi . Crown The Entertainer's telephone number is 76-66-77-88-99, Crown The Entertainer website address is http://www.crowntheentertainer.co.in/, Facebook page is Crown The Entertainer and address is Wz-468/E M.S Block, Hari Nagar, New Delhi.. 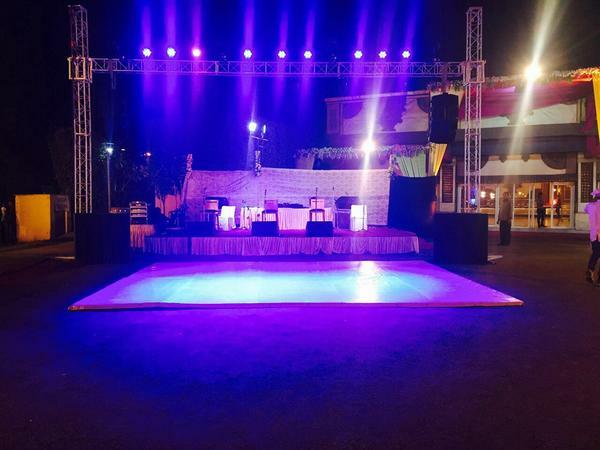 In terms of pricing Crown The Entertainer offers various packages starting at Rs 8000/-. There are 0 albums here at Weddingz -- suggest you have a look. Call weddingz.in to book Crown The Entertainer at guaranteed prices and with peace of mind.